When the next three clinics are installed in his summer, the total estimated population that will have access to digital x-ray technology as a result of our efforts will be 300,000 to 600,000 Guatemalans. Each unit we install in Guatemala costs approximately $75,000. Our fundraising continues at a steady pace, surpassing the $625,000 mark in funding commitments, with many Rotary clubs and 16 Rotary districts participating so far! Our progress continues to draw attention and support from individuals and organizations outside the Rotary world. As an example, we recently received formal endorsement letters from U.S. Representatives Jan Schakowsky and Robert Dold -- two members of the U.S. Congress who strongly back our efforts. In Guatemala, our project has high visibility: On August 25, a special inauguration event will be held to formally open our three newest clinics, and we are anticipating that among the dignitaries in attendance will be the president of Guatemala. We are also excited to report that we have trademarked our name, HealthRays -- part of our ongoing effort to raise our visibility widely. In District 6440, 50 clubs have signed on to support HealthRays as of the summer of 2016, and our goal is to achieve 100% participation. We have also received significant funding assistance from other Rotary districts, from as far away as Taiwan. Each club’s donation, no matter what size, is important to our long-range goals. Our project has the potential to significantly impact health care in Guatemala: Each of our digital x-ray systems will serve a population of between 50,000 and 100,000 people. 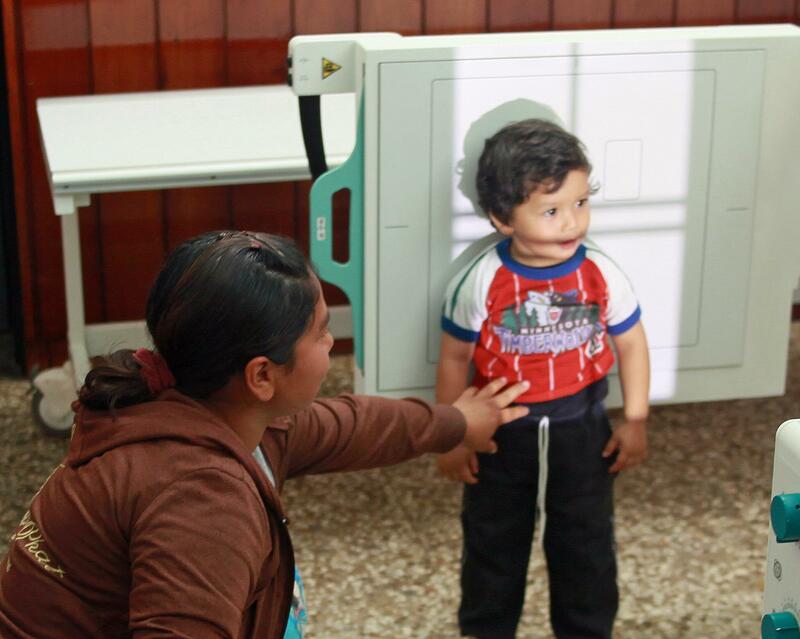 When all 29 units have been installed, millions of people in Guatemala will have local access to diagnostic digital x-ray services for the first time. Please visit the project’s website at www.healthrays.info for more information, and contact PDG Pamela Kerr at gov.pam@rotary6440.org or PDG Carlos Früm at gov.carlos@rotary6440.org to learn how your club can be part of the project.